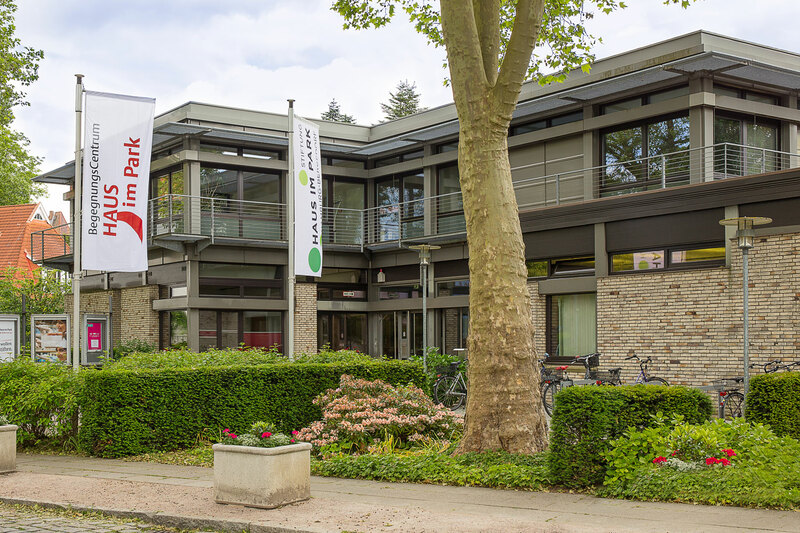 ‘Haus im Park‘ of the Körber Foundation is the cultural centre for all generations in Hamburg Bergedorf and a community centre undergoing demographic change. Integrated into the district and socially networked, Haus im Park provides the generation 50 plus with a public space to live life – actively and committed, protected and acknowledged. In the fields of education, culture and health, the programme from Haus im Park creates impulse for active participation at all stages of life. Whether on the stage of the theatre, in the cafe, in the wood workshop or as a meeting point for exercise and advice, sharing and enjoyment – Haus im Park provides entertainment and learning, and stimulates body, mind and soul. 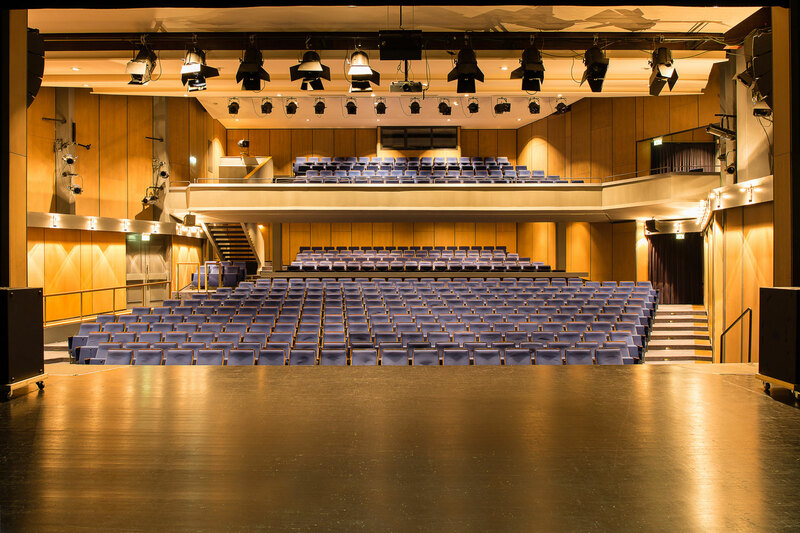 In the stalls and balcony, the theatre of Haus im Park seats an audience of nearly 500 and, together with the many adjacent areas, a meeting place not only for Hamburg and its region. The well-known performances from theatre, musicals, dance, music and comedy also ensure streams of visitors from more distance regions of Germany. 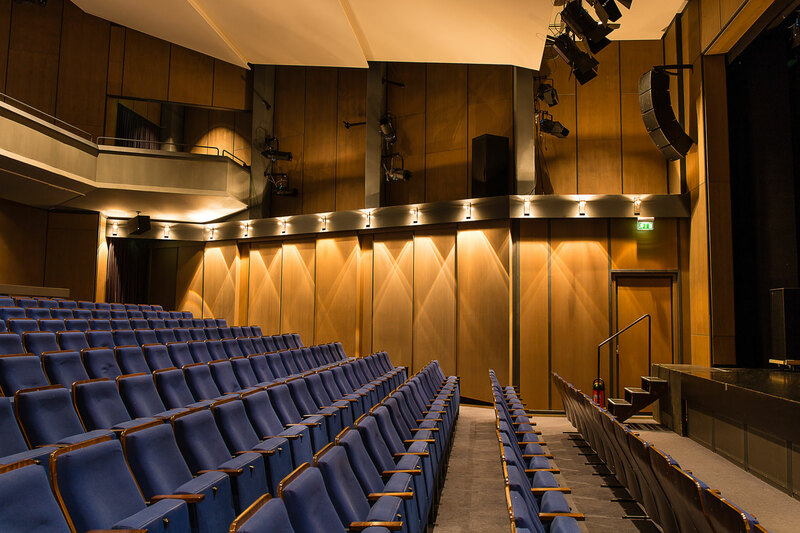 “Meanwhile, the theatre is often a venue for the Stäitsch Theater Betriebs GmbH”, says technical director of the theatre Thomas Siebentaler. 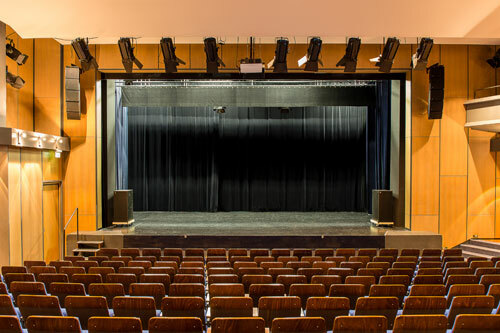 He adds: “The current sound system originates from reconstruction measures which were taken in 1998 and is thus almost 20 years old.” The “Hamburger Kammerspiele”, the Altona Theater any many others belong to “Stäitsch”. Although the original sound system was designed for speech, this can no longer be compared with today’s state-of-the-art technology. 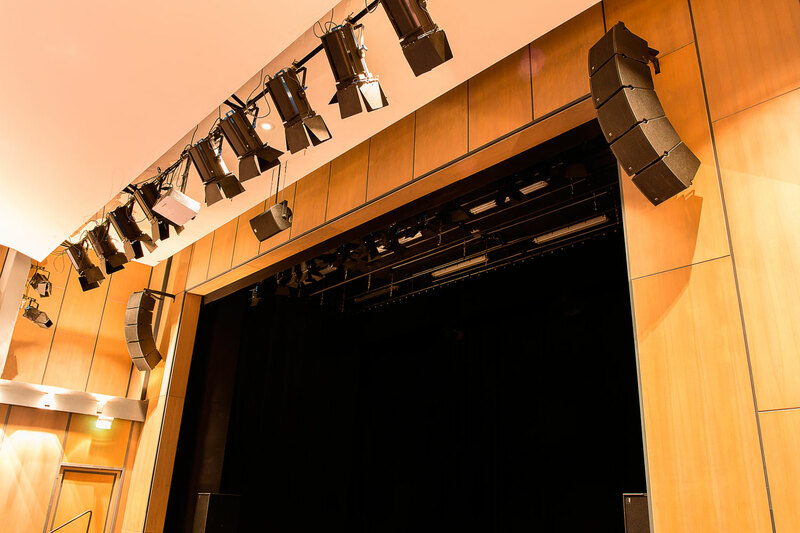 “We wanted a sound system that can do everything” says Siebentaler. “With the installed K&F SEQUENZA 5 setup, in combination with the two double 15-inch NOMOS LT subwoofers, we now have a system which plays back excellently at all of our events.” The five SEQUENZA 5 W full-range elements to the left and right are supported by a centre speaker which is cross-mounted on the ceiling – a K&F GRAVIS 12+ XW in this case to reach the entire audience area from the centre. At K&F, the abbreviation XW stands for an extra wide horizontal beam angle of 110°. 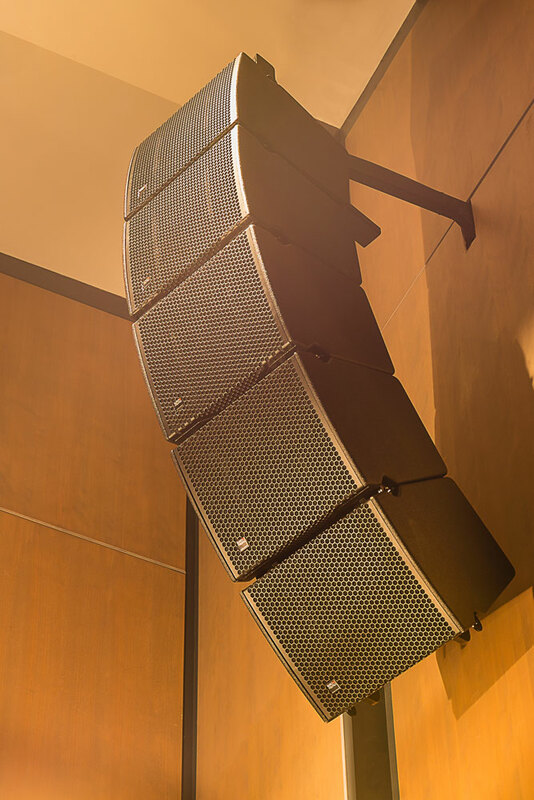 The entire sound system is handled by two K&F D 80:4 SystemAmps. The speaker presets in the D series, which are already built in, ensure the best possible performance of the K&F speaker systems. The installation partner was ‘Protones Veranstaltungstechnik‘ from Lüneburg with project manager Dirk Dechring. With the combination of theatre and many other possibilities, “Haus im Park” has a very special charm and stands out from a usual theatre.